Lock in a great price for Caramel Boutique Hotel – rated 8.7 by recent guests! 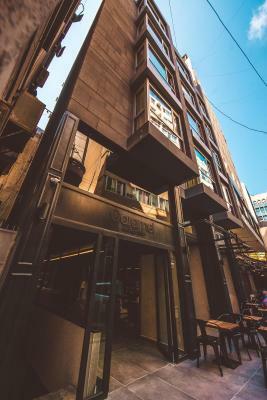 Great location in Hamra, near bars, restaurants, cafes and a few touristic sites. Cleaned very throughly every day. Housekeeping gave us complimentary water every day, which is a nice perk! Staff was helpful when needed. The room was quiet and spacious. The shower pressure was good, and the hotel's location is excellent. The staff were friendly and very helpful. The TV channels were great. Staff was very nice and location very good. I would go back for sure! Staff was incredibly helpful with a billigerent taxi driver and were across the board super friendly. The hotel is new so everything is very clean. Everything i liked in this hotel stuff , location and stay . 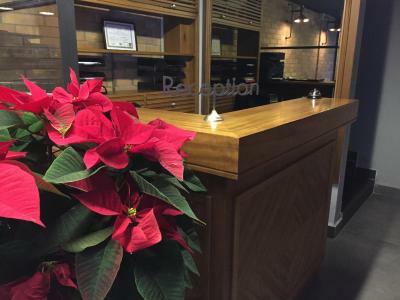 Caramel Boutique Hotel This rating is a reflection of how the property compares to the industry standard when it comes to price, facilities and services available. It's based on a self-evaluation by the property. Use this rating to help choose your stay! One of our best sellers in Beirut! 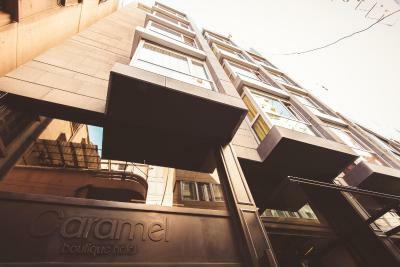 Ideally located in the middle of Hamra Street, "Caramel Boutique Hotel" offers modern trendy rooms with free WiFi throughout the hotel. 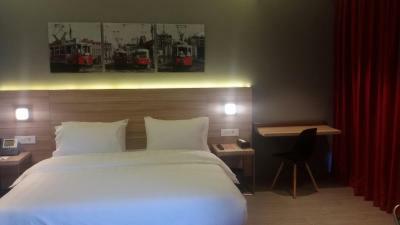 Rooms at "Caramel Boutique Hotel" come with air-conditioning, mini-bar, safe box, soundproof doors, and a 40'' LCD TV with free International satellite channels. They also include complementary tea, coffee and water. 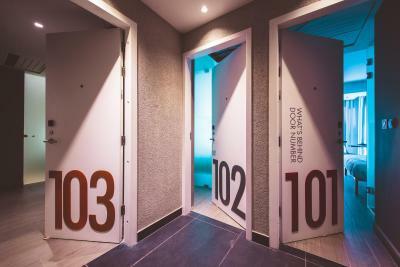 Each room includes a private bathroom with a RAIN Shower, free toiletries, and a hairdryer. Our rich continental breakfast includes a variety of cold and hot dishes with a selection of fresh fruits and pastries. 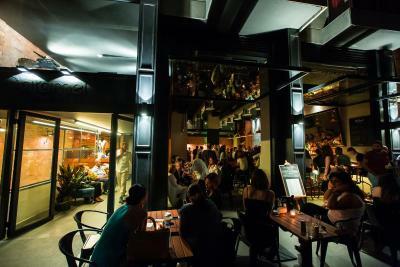 The "PROPAGANDA" restaurant-bar is open until midnight, serving a wide range of cuisine and "Signature Drinks". 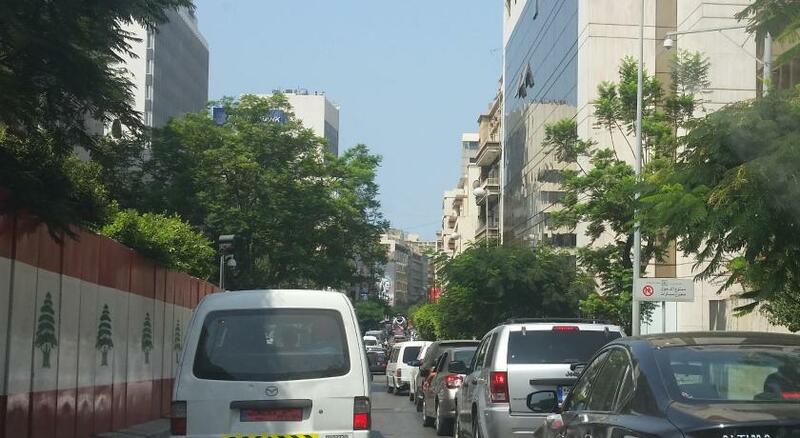 The hotel is just 1.2 mi away from Beirut Central District "Solidere", and 6.2 mi away from Rafik Hariri Airport. 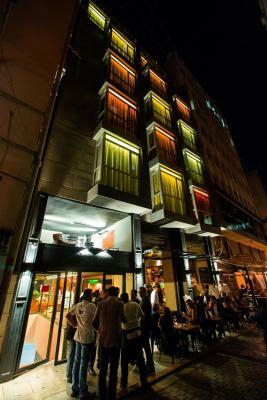 When would you like to stay at Caramel Boutique Hotel? 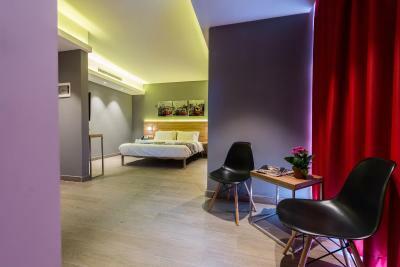 This spacious modern air-conditioned room features a 40" Satellite LCD TV with free satellite channels, and a private bathroom fitted with a rain shower. 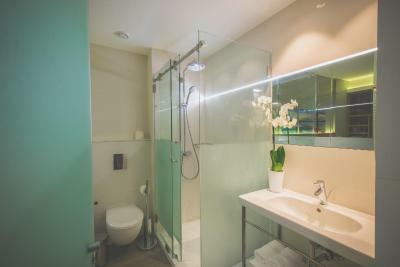 This spacious modern air-conditioned room features a 40" Satellite LCD TV, and a private bathroom fitted with a rain shower. House Rules Caramel Boutique Hotel takes special requests – add in the next step! Caramel Boutique Hotel accepts these cards and reserves the right to temporarily hold an amount prior to arrival. The street is super noisy, it was impossible to sleep before 2:30AM! Water pressure is very poor. The room requires renovation work, mainly the walls and the shower. The bed is comfortable. The room was clean. I was on the third floor and could hear noise from street so if you're a light sleeper then would be a problem. The lounge is amazing but smoking indoors was a bit bummer. Although the glass can be opened, I never liked smoking indoors. 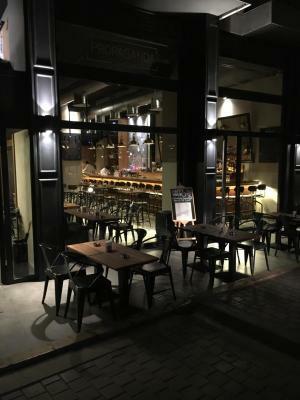 friendly staff, helpful and professional, good variety of light breakfast, nice lounge with bar, cozy rooms, great location (in a very tight street, you might need to contact the driver and show them the way). Great location, very nice decoration and fully equipped bedroom with all commodities. Plus a large balcony! Missing wifi during my 1 week stay. 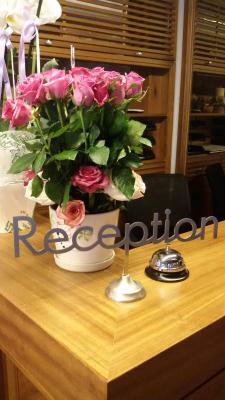 Location, comfortable bed, friendly staff. Wifi was weak in the room, it was good at the hole, i think the door blocks a little. There could be more international tv channels, almost all channels are Arabic. Location and staff were perfect. The room was very clean, large and elegant. There are nice and sweet small touches in the room (like the writings of the door signs, messages on the desk or water bottle) It was the most comfortable hotel bed I've ever sleep. 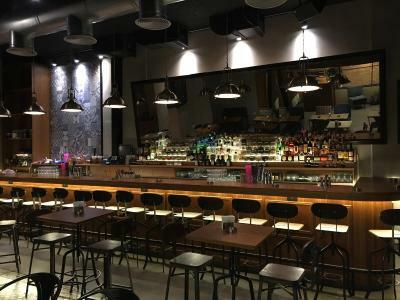 The hotel is close to very good restaurants, bars, change offices, 7x24 open supermarket, starbucks, we could go anywhere we wanted easily. The staff is very kind and helpful. The shower is very nice. It may be noisily because of bars and night clubs but not all time. Breakfast was OK, but it is a-la-carte and only two options: lebaneese or european. I would expect more variaty. The location of the hotel is good: you can get on foot to many places. Lots of restaurants around. Despite the fact that there is a bar downstairs, the room was very quite thanks to isolation. Very helpful stuff. 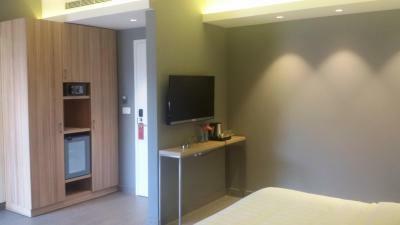 Very spacious and modern rooms! The indoor smoking in the lobby was not pleasant, but you don't need to hang out there. Smaller size hand towels in the bathroom would've been nice. Good location, good price, very friendly and helpful staff. Clean and good size rooms. We got what we paid for, overall very good.